At the grand old age of 38 my midlife crisis kicked in this summer and I decided to fulfil my childhood dream I brought 911. Originally I was only considering early Gen1 911s as I couldn't justify it to myself to spend 30-50k on a car. After test driving a fully loaded Black Gen 2 CS PDK it didn't take long understand what all the fuss was about and I brought the car as soon as the test drive finished..
Just like all the enthusiasts on here I now have the bug and I cannot get enough of driving my car.. I know nothing about Porsches, you will be seeing me in the future posting possibly some silly questions which will help me understand my car better. My first question is about cleaning the car? . I have cleaned my car with Auto Glym products (includes Resin Polish,Gloss and their wax). The car looks ok however I have seen some pictures of black cars on this forum and they look amazing. What is the secret to making these cars look even more amazing? Congrats and welcome. As another newbie tried earlier this evening, questions may be asked but responses are held until pictures and spec are provided. 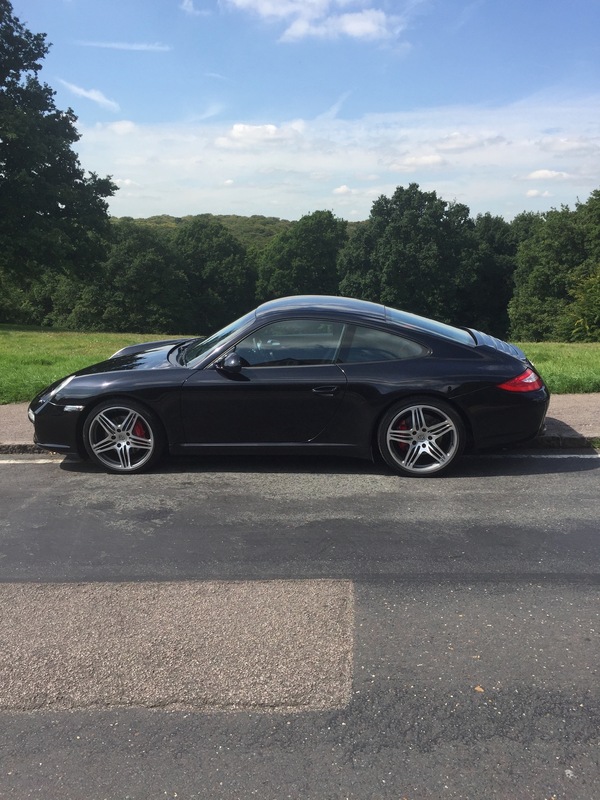 Postimage easiest thing in the world congrats re the car, having had air Cooled and considering a 991 and various turbos I always come back to the 997.2 PDK, great choice! Re the paint it's black and you need to be mega careful, depending on where you purchased it would generally of been prepped to remove stonechips scratches swirl marks and dents, usually with a staged machine polish. If not the only way to get it as it should be is with that process, your just hiding the swirls otherwise. Once done it's a careful washing process to maintain it especially on black, various coatings are now available to protect it. Mines black, and i clean it lots... Sadly as has been said i cant tell you about it until pics are posted! There are others on here who have very very clean lovely cars who gave me great advice. If you get some pics up, Phil may even tell you the secret to having others on here detail your car for you!!! Geez we have all been there keep the pics under 600 pixels as that's the site max , looking forward to seeing the pics. Tony your car looks great in that pic, now wheres my Labrador and white cane gone not sure what I meant but I find if I dont reduce the pix count to under 600 they come out upside down or not at all but my PC is steam driven lol I am taking pics straight from my desktop page though and dont use any third party site to post them with. Welcome to the slippery slope of car cleaning! I had a black 981 Cayman S and I soon opted for a Modesta Ceramic coating. Money well spent. I also cannot fault Zaino products, get some Z6 and you'll see what I mean. EZ car care products are also a great buy. The secret to getting a super deep wet shine is less about the products and more about the prep to be honest. Autoglym products are good enough quality, as are Meguires, Auto finesse etc. But the trick is in the prep. If you can make sure you get your paint perfectly clean, so pre-clean, rinse, 2 bucket wash, decontammed (iron and tar), clayed, polished (machine polish if you can) before layering (several coats) of the LSP (wax or sealant). Its a bit of work, but thats what it takes. If you have a few hundred quid spare, get a detailer to do it and then just take the time to maintain it properly afterwards. What Carrera Monkey said, preparation is the key and then after all the hard work get into the habit of washing your car with care. Black is hard work but get it right and it's very rewarding. Great pic Geezer , nice looking car . As monkey and Kev said its all about getting someone to prep your car oops getting your car prepped correctly then build up the layers , I have found using the high gloss show products give the best finish but they need to be reapplied ever 4/6 weeks so it depends whether you want a wax that will last 6/8 months but may not have the depth of shine as one that has to be redone every 4/6 weeks. Mine gets wash and snowfoam every week and finished with a quick detailer , every 6 weeks it gets the same but is finished with a polish or wax and twice a year it gets a machine polish to remove the swirls and marks that happen if you drive it regularly. Thanks for the advice everyone it is genuinely greatly appreaciated. Question with heated seats? How hot do they go,mine peak at luke warm same with passenger seats. Well mine dont burn your bum like my range rover ones do but warm enough to feel it. Lovely car mate. Congrats. I've been using the Autoglym stuff for the last 3 years and it's fine. I bought one of those multi pack jobs that have the basics to get you going. As others have suggested the result depends on the early hard yards. Technique of washing your car also assists in minimizing swirl marks. Wash the car in stripe movements rather than circular motion, this limits swirl marks. As a guide imagine your car is wet and you're doing a decent speed, and replicating the water moving on your car with the kit. It's worked a treat for me.